Vailima, Samoa’s Own Beer, celebrated an exciting milestone, its 40th anniversary since it was established in Samoa and 35 years in American Samoa. An elaborate celebration was hosted by its exclusive distributor in American Samoa, G.H.C. Reid & Company Ltd at the G.H.C. Reid & Samoa Motors, Inc. compound in the Daniel K. Inouye Tafuna Industrial Park. The night was opened with the special Invocation by Father Kolio Etuale. General Manager, Cherith Lober, welcomed and acknowledged guests from the government, private sectors, partners and friends of G.H.C. Reid. President and co-owner, Olivia C. Reid, acknowledged everyone’s support of the Vailima brand over the past 35 years and for G.H.C. Reid itself given its one hundred and eleven years of success since 1907. She paid tribute to the hard work by her “G.H.C. Reid Aiga” (staff) for their tremendous individual and concerted effort in organizing the special celebration and especially for accomplishing the company’s goals and servicing our valued customers daily with only top-notch professionalism that is unmatched. She also highlighted the efforts by the Vailima brand in assisting the community through various sponsorships. Ms. Reid made special note of how G.H.C. 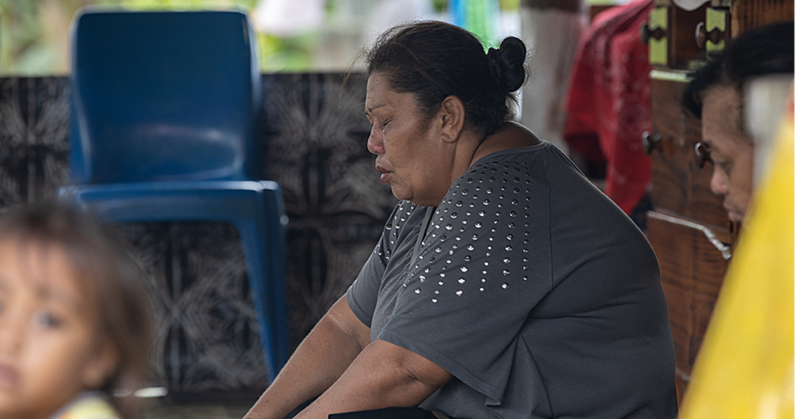 Reid has contributed to the local economy through its import duties, employing 60 employees, payroll and corporate taxes paid to the American Samoa Government. National Sales and Export Manager, George Avia, attended the celebration. He spoke about the great work by G.H.C. Reid in giving the brand much presence and life in American Samoa. He also introduced “Vailima Moni”, which is an alcoholic soda with 5.5% alcohol content. Guests were treated to samples of the colorful flavors: Le Masina, Le Afi, Le Mauga and Le Moana leaving only Le La to be sampled at a later date. The reviews were extremely favorable. A large Vailima themed birthday cake was cut by Ms. Reid, Mr. Avia, Senator Magalei Logovi’i and Department of Wildlife Resources, Director Va’amua Henry Sesepasara. The night continued with five enthusiastic group entertainment numbers by the President, Senior Management and staff of G.H.C. Reid and, with the beautiful weather throughout the evening, everyone enjoyed the open air, starry night, great music and dancing in addition to delicious food and Vailima and Vonu beers. MASI’s President, Simeafou Imo, was also in attendance so the official program concluded with a siva by the former Ms. American Samoa and current Ms. Pacific Islands, Ms. Matauaina Gwendolyn To’omalatai, although the dancing and celebration continued far beyond that time much to the guests’ delight. SBL continues to brew Vailima Lager (4.9% alc v/v), Vailima Special Export (6.7% alc v/v) and Vailima Pure (4.9% low carb). Occasionally, SBL releases limited edition brews including Vailima Natural, which used breadfruit flour as a partial replacement for imported barley. 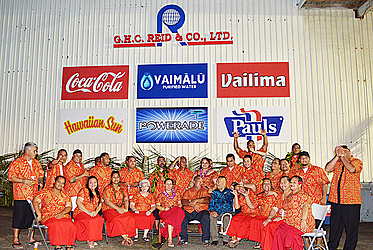 Samoa Breweries Ltd. is also the exclusive distributor for Coca-Cola in Samoa. On September 1st, 1983, Lealaifuaneva Peter E. Reid, Jr., President of G.H.C. Reid & Company, signed an agreement with Wolfgang Hoffman, Commercial Manager of what was then known as “Western Samoa Breweries, Ltd.” to exclusively distribute Samoa’s own beer, Vailima here in American Samoa.